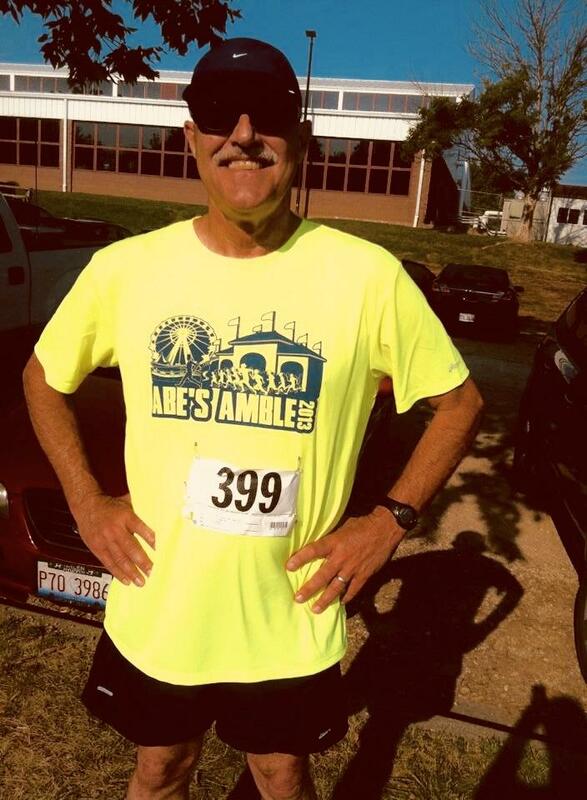 Before Tim Landis died a year ago, there had been little indication he had heart disease. He’d had an active lifestyle and ate a healthy diet. But an autopsy revealed he had had years of untreated high blood pressure. His widow, Debra Landis, wrote a first-person account of losing Tim and her investigation into the disease that took his life. Listen here to Debra Landis being interviewed by Maureen McKinney. Tim Landis did his best to remain healthy and live a long life. Of average weight for a 6-foot-tall frame, Tim didn’t smoke; avoided foods high in sodium and saturated fat; ate fruits, vegetables and whole grains every day; and drank no more than a couple beers or mixed drinks a month. He exercised regularly, typically a combination of running and walking two to three miles each night after getting off work as business editor of The State Journal-Register, a job he held for 23 years and greatly enjoyed. Tim had no trouble hiking five or more miles on regional, coastal and mountain trails, running a 5 or 10K race, swimming laps, or embarking on 15 to 20-mile bike rides. “I need exercise, and I like it,” he often said. Tim's total cholesterol was, for years, normal, and his blood pressure averaged in the upper 130s over the upper 80s, considered normal under former guidelines. Tim Landis was business editor for The State-Journal Register in Springfield before his January 2018 death. But on Jan. 2, 2018, Tim, age 66 and seemingly a picture of health for a man his age, had a heart attack and died of "hypertensive and atherosclerotic cardiovascular disease," said an autopsy performed by the Sangamon County Coroner's Office. Findings referred to years of untreated hypertension. When he was in his early 30s, Tim’s blood pressure began averaging 145 over 90; 140 over 90 and under were then considered normal by AHA and ACC guidelines. Tim’s total cholesterol rose above 200 to borderline normal levels when he was in his 30s. In response and at his physician’s urging, Tim upped his exercise and reduced his intake of processed foods—among the heart-healthy habits he kept up the rest of his life. His blood pressure and cholesterol returned to what were considered normal levels. Told of Tim’s case, Dr. Gary LeRoy, a practicing family physician in Ohio and president-elect of the American Academy of Family Medicine, said he believed Tim’s healthy habits helped extend his life. But, in the days and months following Tim’s shocking death, we wondered how such a seemingly fit man could die from heart disease brought on over time by high blood pressure. As a journalist and as Tim's wife — Tim and I were married for almost 37 years — I set out to answer those questions. I was stunned to learn: (1) As many as 50 percent of cardiac deaths due to disease in the heart’s vessels occur in individuals with no prior history or classic symptoms of heart disease; (2) Heart disease has been the No. 1 cause of death in the United States since about 1930; and (3) Under new guidelines, Tim had untreated high blood pressure, a major risk factor for heart disease, his entire adult life. Under new blood pressure guidelines adopted in November 2018, Tim Landis would have been considered to have clinical high blood pressure. "One of the most serious health problems related to untreated high blood pressure is atherosclerosis, or plaque build-up in the arteries. When those blockages occur in the arteries that supply blood to the heart muscle, the end result is coronary artery disease," explains a June 12, 2016, online article on WebMD that was reviewed for accuracy by Dr. Elizabeth Kodas, a Minneapolis cardiologist. Physicians in the communities where Tim and I lived and worked in Missouri and Illinois understandably didn’t prescribe him blood pressure-lowering medicine, given the guidelines at the time, and Tim’s overall health and adherence to diet and exercise. However, today, blood pressures between 130 and 139 systolic, or 80 to 89 diastolic, are considered Stage 1, or clinical hypertension, under revised guidelines announced in November 2017 by the American Heart Association and the American College of Cardiology. Normal is less than 120/80. High blood pressure, over time, strains and damages the coronary arteries serving the heart, causing the interior of the arteries to narrow and harden through the buildup of plaque and other materials in a process called atherosclerosis. If a piece of the plaque breaks or ruptures, blood cells called platelets will clump at the site to try to repair the artery. This clump can block an artery, leading to a heart attack. In some cases, but not Tim’s, atherosclerosis causes chest pain and other symptoms. Leading risk factors for heart disease and stroke that individuals, working with their health care providers, can manage include blood pressure, cholesterol, smoking, weight, diet and exercise. 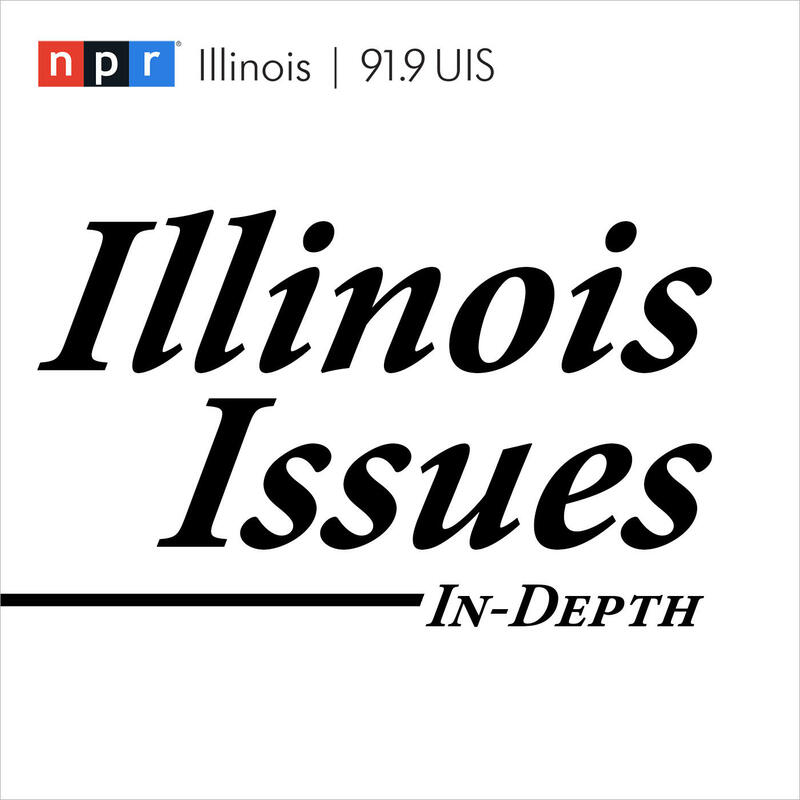 Tim was among more than 25,000 Illinoisans who die each year from heart disease, which includes coronary artery disease and other conditions that affect the heart’s structure and function, according to the National Center for Health Statistics. Nationally, about 630,000 Americans die from heart disease each year, the Centers for Disease Control and Prevention say. Coronary artery disease is the most common type of heart disease. The month Tim turned 66 -- November 2017 -- was the month the American College of Cardiology and the American Heart Association released a report saying high blood pressure “should be treated earlier with lifestyle changes and in some patients with medication at 130/80mm.Hg, rather than 140/90, based on new American College of Cardiology and American Heart Association guidelines for the detection, prevention, management and treatment of high blood pressure." “Nearly half of American adults are at risk for major health problems because of high blood pressure, according to a new scientific guideline that redefines the dangerous condition and provides tactics for doctors to detect, treat and prevent it,” a Nov. 13, 2017, American Heart Association News release said, in part. In contrast, the American Academy of Family Physicians and the American College of Physicians, a national organization of internists, did not adopt the new 130/80 thresholds, citing, among other reasons, concerns about the research behind the new guidelines. Family physicians, LeRoy says, are attentive to hypertension and its treatment, but must consider all of a patient’s conditions, such as kidney disease and diabetes, when deciding what medicines to prescribe and talking with the patient about healthy blood pressure goals. “There is no magic bullet, no one size fits all,” LeRoy says of treating high blood pressure and preventing heart disease. Loyola Medicine cardiologist Dr. Mark Rabbat says of the new blood pressure guidelines: "Multiple large studies have found that even people with a systolic pressure above 130mmHg or a diastolic pressure above 80mmHg have an increased risk for heart disease or stroke. A recent study published in the American Heart Association journal, Circulation, found that changing the threshold for blood pressure goals could translate into 3 million fewer cardiovascular disease events over 10 years, compared with earlier guidelines." Dr. Sachin Goel is a cardiologist with Prairie Cardiovascular Consultants in Springfield. “Based on comprehensive analyses, it has been determined that treatment using these intensive blood pressure goals could potentially prevent approximately 107,500 deaths per year in the United States,” says Goel. “As many as 50 percent of all cardiac deaths due to disease in the heart’s vessels occur in individuals with no prior history or symptoms of heart disease. In addition, standard coronary risk factors may fail to explain up to 50 percent of cardiovascular events,” says a June 16, 2008, article in Science News. Tim was among that estimated 50 percent who did not experience classic heart attack symptoms. Without chest pain, shortness of breath, or other symptoms, insurance may say there is no need for screenings that could detect heart disease. Tim Landis exercised regularly and ate a healthy diet. "It cannot be this much of a crapshoot,” I thought. Determining your risk factors and whether you have heart disease before it is too late do not have to be crapshoots. “Talk with your primary care doctor about your concerns,” says Dr. Mary Walsh, immediate past president of the American College of Cardiology, adding that weight, blood pressure, and diet are among factors individuals, working with their health care providers, can modify. Physicians should also know about their patients’ genetics and whether grandparents, parents, brothers and sisters had heart disease, high blood pressure or high cholesterol and at what ages these conditions were diagnosed. Looking at Tim's family heart history, I learned his paternal grandmother was 54 when she suffered a fatal heart attack. In later years, heart disease was found in other paternal family members, including Tim’s father, aunts, uncles and first cousins. Tim’s parents, who are in their late 80s, have long taken medicine for high blood pressure. People may experience symptoms they don’t connect to their hearts. But dizziness and lightheadedness can indicate possible cardiovascular problems, as can unusual weight gain and swelling in one’s face, abdomen and other areas of the body. Skin wounds that don’t heal properly can indicate poor blood circulation. In addition to considering health conditions that have occurred in one's family, other genetic factors may be present, according to the American Heart Association, which says, "Statistics show that African-Americans face higher risks for high blood pressure, diabetes and stroke. About 1 in 3 Hispanics will suffer from high blood pressure, and nearly half will battle high cholesterol." Regarding screenings for heart disease, tests are available for a fee and without a doctor’s orders through some hospitals and organizations such as Life Line Screening. The personal toll of losing a loved one for any reason cannot be quantified. However, the number of heart attacks and strokes suffered in the United States and the amount of money spent on treating cardiovascular disease will skyrocket if high blood pressure, obesity, and other avoidable factors are not addressed, health organizations warn. 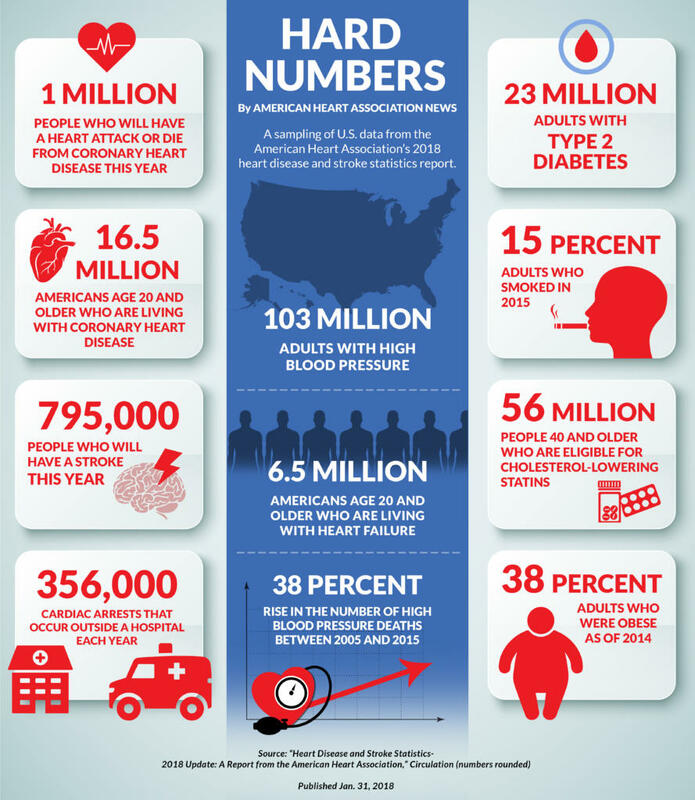 “Americans suffer 1.5 million heart attacks and strokes each year — a burden that contributes to most of the more than $320 billion in annual healthcare costs and lost productivity caused by cardiovascular disease,” reports the CDC. A report commissioned by the American Heart Association also raises alarm bells, with authors writing, in part, that costs associated with heart disease in the U.S. will reach $818.1 billion a year by 2030. Analysis of prevention, management and education related to heart disease and risk factors in Illinois is under way with support of a $1.9 million grant from the Centers for Disease Control and Prevention, according to Melaney Arnold, state public information officer for the Illinois Department of Public Health. The grant will support such efforts as an analysis of how medical providers in Illinois are treating hypertension and what changes that might be warranted, as well as the roles pharmacists, nurses, social workers and community health workers could assume in helping patients manage their blood pressure. Public and private sectors, including medical providers, are teaming on research studies, programs and technology aimed at better prevention, detection and treatment of heart disease. More than 100 million Americans have hypertension, and more than half of those who take medicine for high blood pressure do not have their blood pressure under control, according to Dr. John Flack, who directs a hypertension clinic operated by the SIU School of Medicine, and chairs the school’s Department of Internal Medicine. He was among the peer reviewers for the American College of Cardiology and the American Heart Association’s new blood pressure guidelines. The hypertension clinic, Flack says, uses a multi-disciplinary approach in the treatment of high blood pressure, including the monitoring of patients’ blood pressure and medications and helping patients come up with plans to lose weight, get more exercise and stop smoking. Loyola University Medical Center was the first hospital in Illinois and the second in the country to offer a new test called “fractional flow reserve-computed tomography, or FFrct. a new non-invasive test for heart disease in which CT scans create a digital 3D model of the arteries leading to the heart. “Powerful computer models then stimulate the flow within those arteries to assess whether blood flow has been restricted by any narrowings. A color-coded map helps physicians determine, vessel by vessel, if sufficient blood is flowing to the heart,” the medical center explains. California-based HeartFlow, Inc., launched the test in 2018. Medicare and Medicaid cover the test, as do some private insurance carriers, the company said. FFRct is currently offered at 100 hospitals nationwide, including St. John’s Hospital in Springfield, according to HeartFlow, Inc.
On the legislative front, legislators are adopting health-related measures related to heart disease, says cardiologist Walsh. For example, Illinois law prohibits smoking in public places and workplaces, and Illinois is among 39 states that require training in cardiopulmonary resuscitation for high school graduation. Heart disease emerged as the leading cause of death in the United States in about 1930, and has remained the No. 1 killer since, write Dr. Marc Gillinov and Dr. Steven Nissen, authors of the book, “Heart 411: The Only Guide to Heart Health You’ll Ever Need.” They suggest that among the reasons heart disease remains the leading cause of death is that while improvements have been made in the detection and treatment of heart disease and other conditions, people are living longer and are proportionately more obese, along with other health risks. I’ve learned that while we can’t control our appointed hour, we can work with our medical providers to better understand and control our risk factors for a number of serious diseases, including heart disease. And that is what Tim Landis did to the best of his ability. This is American Stroke Month. It's a good time to review the signs of a stroke, signs that many people may not recognize. The 2015 Springfield Heart & Stroke Walk is a family-friendly fundraiser for the American Heart Association. Participants build teams of walkers who raise funds on behalf of their workplace or a loved one who suffered from heart disease or the effects of a stroke. The Executive Leadership Team has a goal of raising $100,000 for the American Heart Association; walkers who raise at least $100 will receive a t-shirt and are eligible for other prizes.